Richardson is committed to bringing you, our valued customers, the best service possible. In line with those goals we’ve developed this new website, ‘Your Richardson’, as a way of better communicating to you throughout the season. Richardson is the first name in Canadian agriculture. Our progressive company has been successfully serving the Canadian and international agriculture and food sectors for over 150 years. 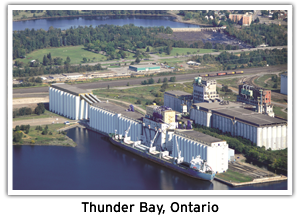 What started as a one-man grain merchandising operation in Kingston, Ontario and became a company that prevailed through the trials of the 20th century, including the challenges of developing the West, is now a leading agribusiness in the 21st century with operations extending from coast to coast and beyond. Today, the Richardson name continues to be synonymous with quality and integrity. Our focus remains on supporting our producers, nurturing strong business relationships with our customers and suppliers and caring for the communities in which we live and work. 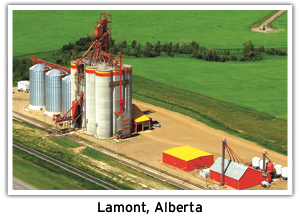 Richardson Pioneer has one of Western Canada’s largest networks of grain-handling and crop production facilities. Our ag business centres serve as growers’ primary source for a vast assortment of quality crop inputs, seed varieties, crop protection products and specially-blended fertilizers. Furthermore, the knowledge and experience of Richardson Pioneer’s agronomists and merchants provide customers with sound advice, suitable products and timely market information.